It’s been a tad quiet around here, so we thought we’d jump back into the swing of things with a cocktail recipe to make it up to you! This weekend is the last weekend before Christmas ( where the heck did December go? ). 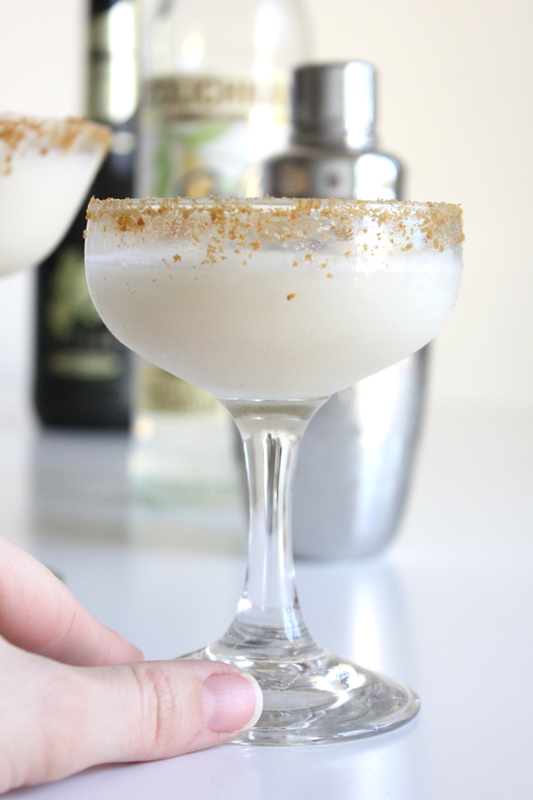 If you’re hosting one last holiday party weekend, serve up something unique like this gingerbread martini. It’s light, sweet and a great night cap if you ask me. It’d also be a great cocktail for a cookie party, because it’s basically and ‘adult’ glass of milk. This recipe is sponsored by Silk. As you know we come up with these recipes on our own, take our own photographs and appreciate your support of our sponsored posts. It allows us to bring you many many more festive cocktails in the future! Instructions: You’ll start by garnishing your glassware. In a gallon size ziplock back crush 4-6 gingersnaps. 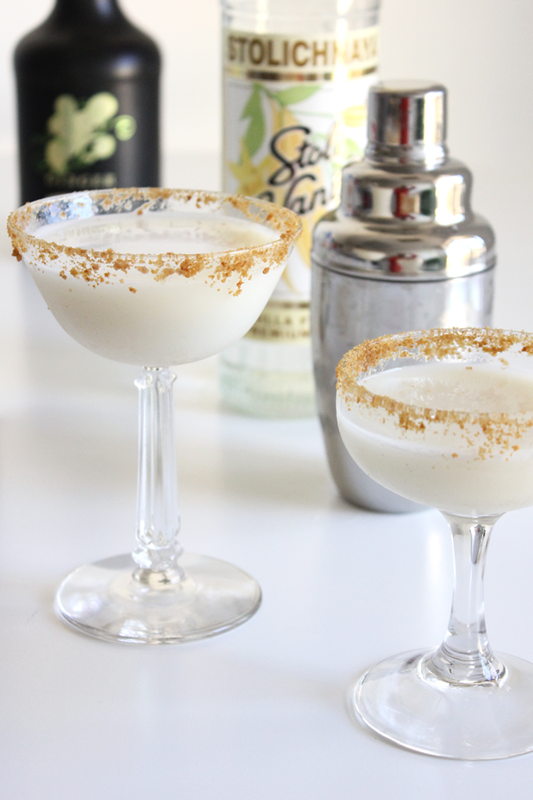 Dip glassware rims in ginger liquor and then into the crushed ginger snaps. 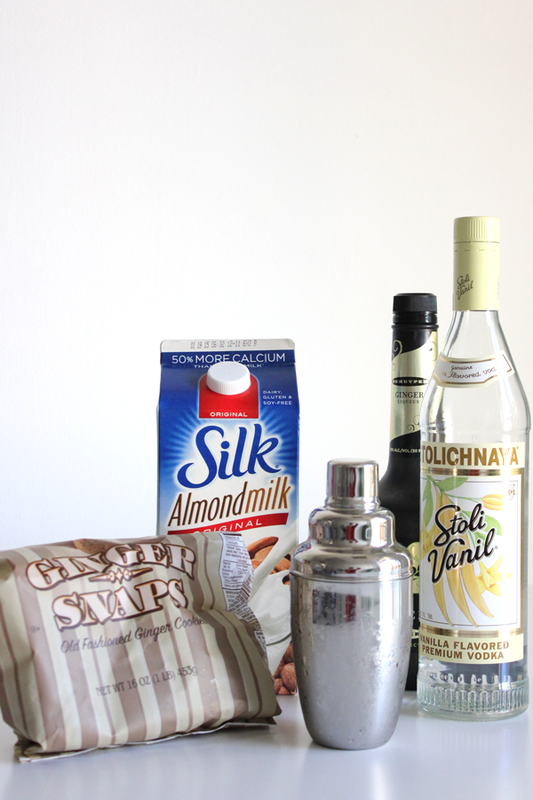 Next, in a shaker filled with ice add 1 oz vanilla vodka, .5 oz ginger liqueur, 3 oz Almondmilk and shake vigorously until liquid is chilled. Strain into garnished glassware and serve immediately. 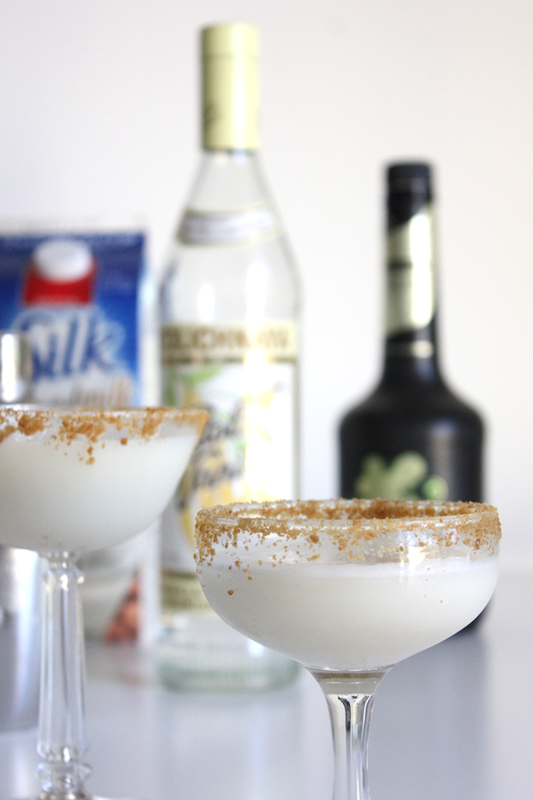 The post Gingerbread Martini Recipe appeared first on The Flair Exchange®.